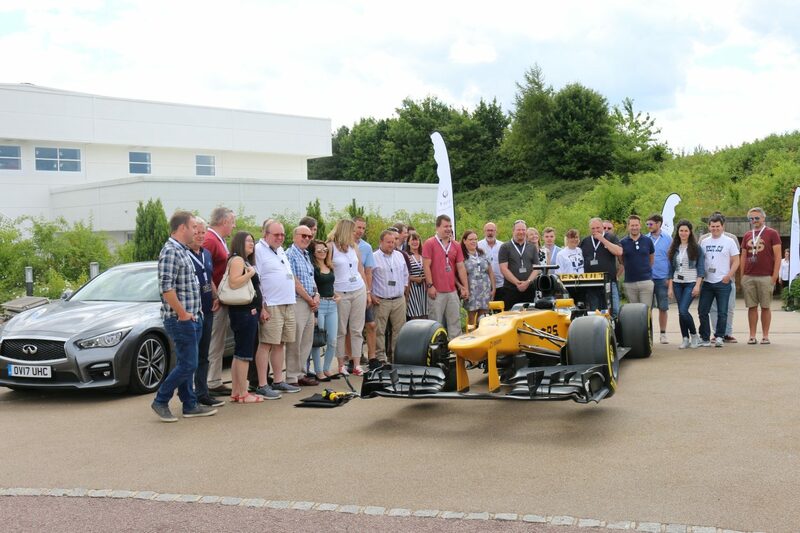 On 9th July, our competition winners assembled at Enstone, Renault Sport Formula One™ Team's base. 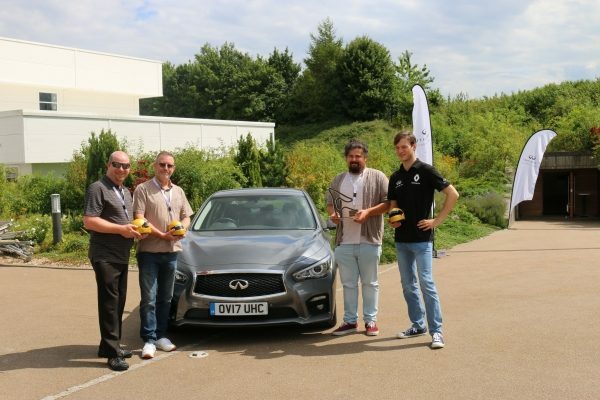 The 40 attendees were there for a racing experience of a lifetime and to celebrate INFINITI’s official partnership with the Renault Sport Formula One™ Team. 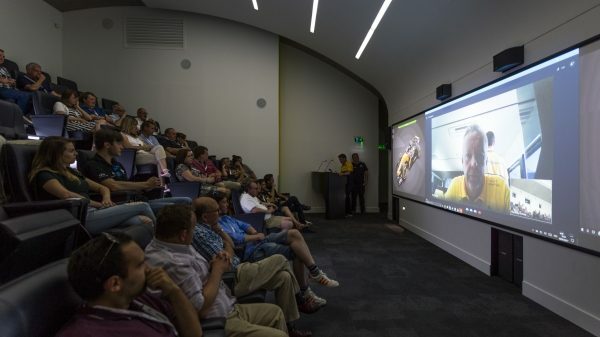 As well as live coverage of the Austrian Grand Prix, the winners were treated to a video interview with a racetrack engineer, a Champagne brunch and even the chance to pit themselves against the pros. Throughout the day, our lucky winners tested themselves in a series of Formula One™ challenges. 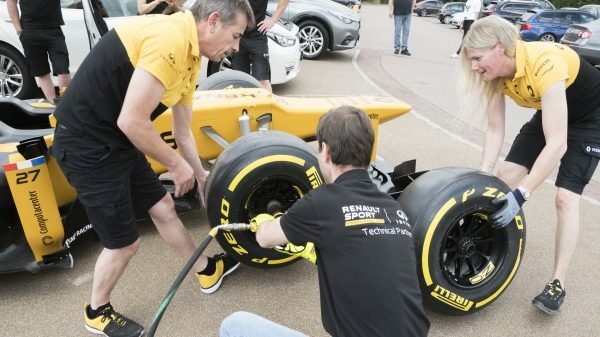 It began with the pit stop test where they used the high-speed wheel gun to change a tyre. This was followed by the Batak machine to see whether their reactions times were F1™-ready. 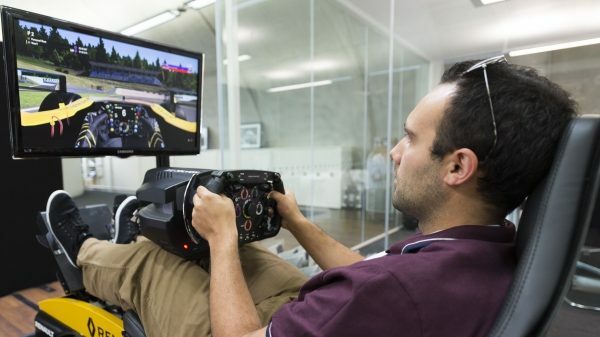 And finally they undertook a full driving simulator to recreate the F1™ cockpit experience. 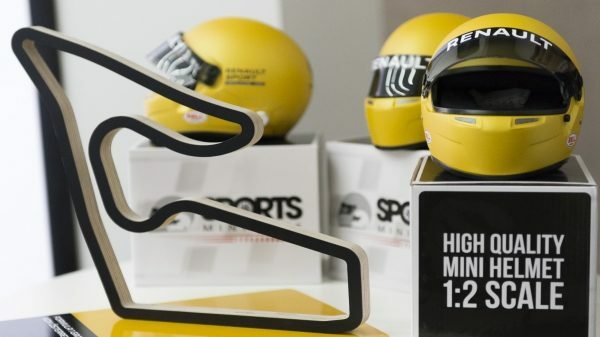 After a day of intense competition, four overall winners made the podium, and were presented with bespoke Renault Sport Formula One™ Team trophies. 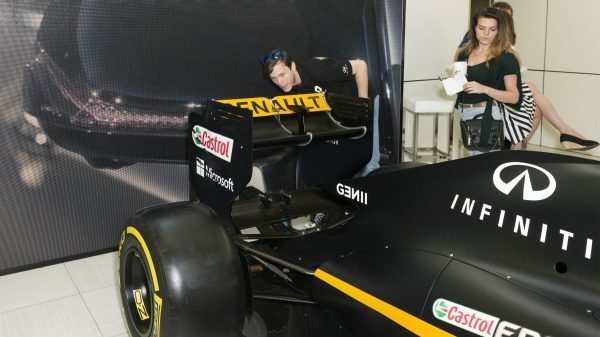 The competition winners also had the unique opportunity to study the poise, power and performance of the Renault Sport Formula One™ Team cars. 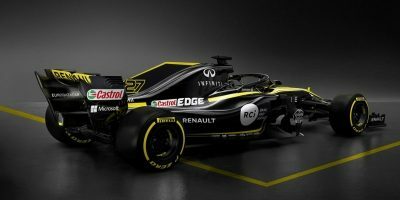 With two cars at Enstone on the day, they were able to take a closer look at the low chassis for near zero-lift aerodynamics; the Active Grille Shutter, which lowers drag; and the large carbon fibre tail that maximises speed as well as handling. 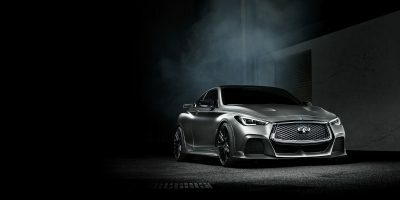 As technical partner to the Renault Sport Formula One™ Team, much of this technology is mirrored in the INFINITI Project Black S dynamic proportions. We never stop innovating. 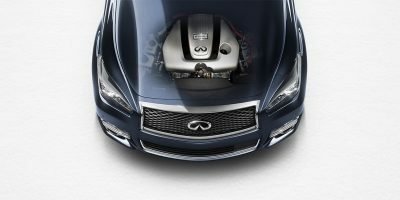 And the technology that powers F1™ cars on the track drives our performance on the road. 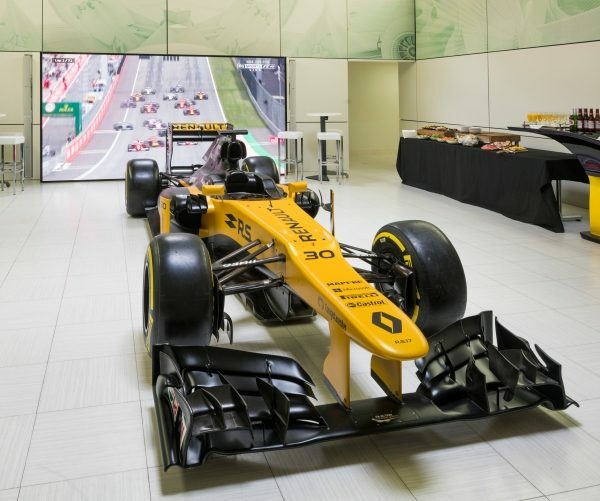 By harnessing our expertise in hybrid technology, we have been supporting the Renault Sport Formula One™ Team in the development of the Energy Recovery System (ERS) technology – marrying greater horsepower with the efficiency you need. Project Black S explores the harvesting of both kinetic and heat energy and how this technology can drive our models – giving more power, torque and acceleration on the road. 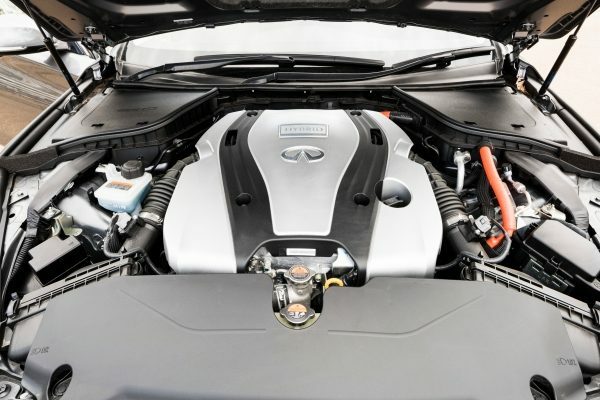 How we use energy recovery technology to power incredible performance. 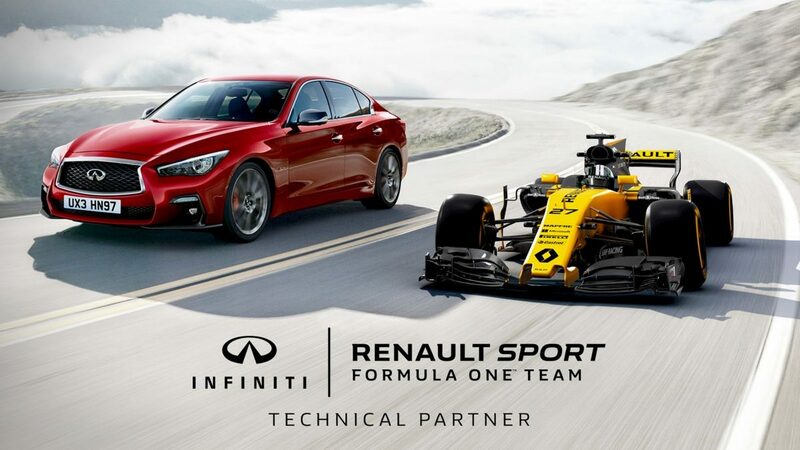 On the track, on the road – our innovative partnership with Renault Sport Formula One™ Team.